Was it just two years ago (2009) that Steve Heckler, producer of the Twin Cities Jazz Festival, sadly announced that the 2009 festival would be canceled due to lack of sponsors? After 11 years in full or in part as a Minneapolis cultural event, the city faltered in its support of the festival, and major sponsors seemed to follow. But sister city St. Paul rose to the occasion, offering the urban “forest” setting of Mears Park in historic Lowertown and generating enough new sponsors to revive festival planning. With Esperanza Spalding and Allan Toussaint headlining the main stage, the 2009 festival was not only successful but garnered enough enthusiasm and support to guarantee a repeat in 2010. And in 2010, with Joe Lovano’s Us Five, John Scofield, Sean Jones, Bobby Watson’s Horizon and John Ellis’s Double Wide, the crowds were even bigger, paving the way for yet more sponsors, grants, etc. Over the last few years, the festival organizers have emulated the best jazz improvisers, starting with fragments, modifying direction to fit each new twist, making seeming dead ends into exciting new melodies. Confining the festival to St Paul apparently has few drawbacks. 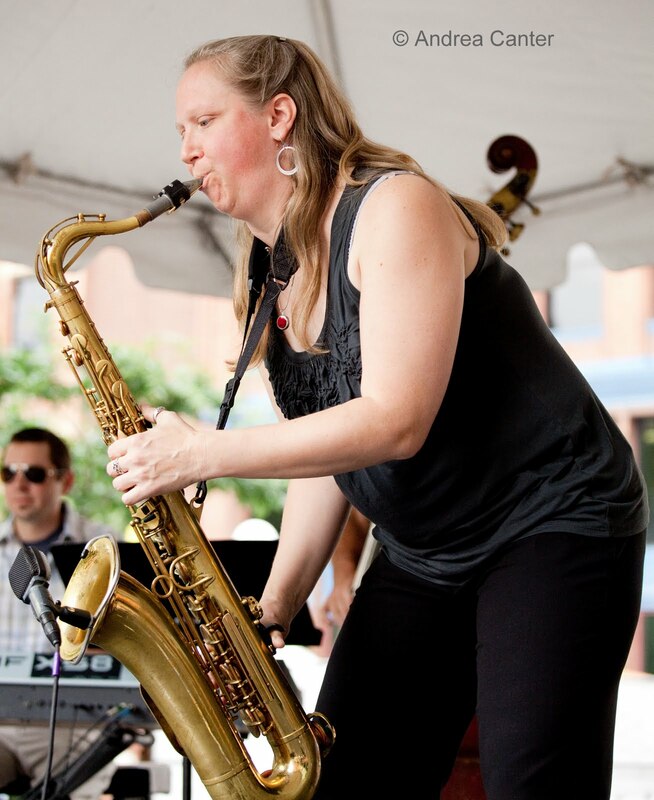 Jazz fans will follow the music, and the strong sense of community in St. Paul ensures large crowds whether there’s bebop, swing, Latin or more avant garde bands on stage. Less cooperative in 2011 was the weather, threatening storms off and on and dampening the grounds much of Saturday afternoon; yet each evening was pleasant and the music transcendent. Top moments for me: The New Gary Burton Quartet spun gold with whizkid Julian Lage on guitar and standout veterans Scott Colley (bass) and Antonio Sanchez (drums). 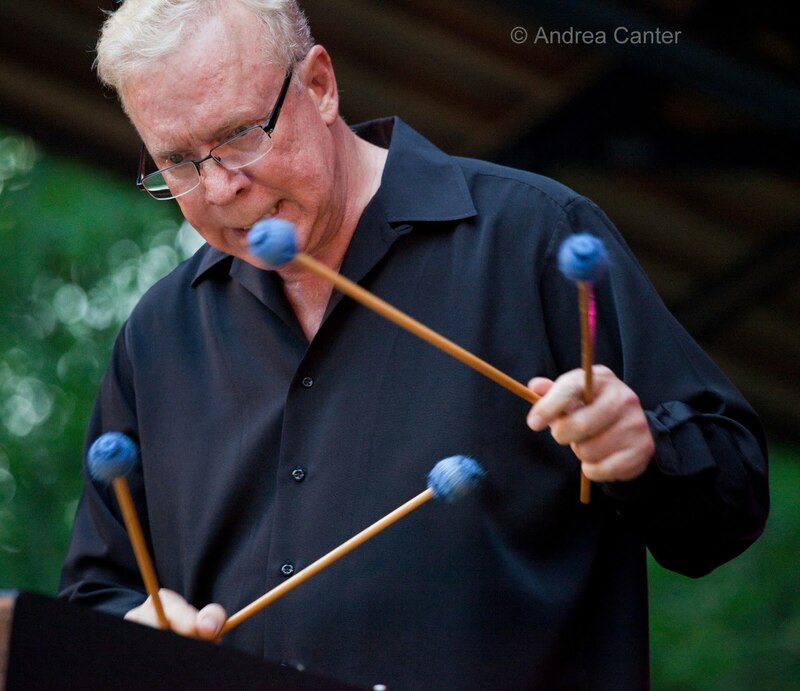 And of course, four-mallet master Gary Burton who can make any song, any style, sound ethereal and magical. Much of their set was drawn from their new recording, Common Ground, which might be Burton’s best as leader of his own ensemble. And speaking of brash young talents, the Dakota Foundation for Jazz Education Youth Stage (DFJE) is always a fountain of surprise. This year, we enjoyed the Twin Cities Youth Jazz Camp band (led by Bernie Edstrom), the St. Cloud Area All-Star Jazz Band (led by Steve Minkler), the Minneapolis South High School Jazz Band (led by Scott Carter), the Minnesota Youth Jazz Band (led by Dave Mitchell), and the Dakota Combo (led by Adam Linz), as well as a quartet (or sextet, counting “guests”) of Dakota Combo and area high school alums and two bands led by past Schubert Club/DFJE piano competition winners, Joe Strachan and Quentin Tschofen. Some of these up and coming musicians are true veterans of the festival, having played on the Youth Stage with their school or jazz camp bands since middle school. Given the way of the jazz world today, the TCJF also stands out for its commitment to presenting jazz without the compromises that seem to confuse the intent of "jazz" festivals in recent years. 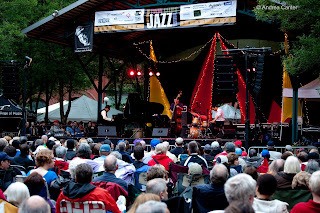 Many of the biggest and most prestigious jazz festivals, like many jazz clubs, are hoping to bring in new audiences and more funding by infusing the events with pop, rock, and blues stars, even promoting their “jazz” festivals with headliners like Prince and the B-52s (Montreal Jazz Festival) or BB King and Paul Simon (Montreaux). OK, this probably keeps some festivals and clubs alive... but does it keep jazz alive? Thanks to Steve Heckler and company for sticking it out and reshaping the St. Paul edition of the Twin Cities Jazz Festival into one of the best free, “real jazz” festivals around. And maybe the best in the integration of festival and neighborhood venues like the Artists Quarter, Black Dog, Hat Trick Lounge, and a welcome newcomer this year, the avant garde/experimental music space, Studio Z. When it comes to jazz, St. Paul plays no second fiddle to Minneapolis. And I say that as a 40-year resident of the Minni-Apple.